Teach undergraduate courses in American politics including courses on the American presidency, current events, critical thinking and writing skills, and research methods. Teach both online and in-class. Approximately 350 students per semester. Will be teaching an online course in fall 2010. Established the Survey Research and Analysis Section of the Institute for Social Science Research. Conducted original survey research (quantitative and qualitative). Responsible for conducting telephone, mail, web and in person surveys. Responsible for research from initial strategy and proposal to providing data in a written report and/or PowerPoint presentation. Wrote proposals, questionnaires, focus group guides, and reports. Conducted focus groups from recruiting participants to moderating. Evaluated grants and provided reports to grantors on the effectiveness of programs. Conducted research for various units of ASU including surveys of graduating students, Native American students, freshmen (a longitudinal study), faculty and students on the effectiveness of the library’s website, faculty perceptions of the needs of international students, alumni, and faculty, staff and students at ASU’s School of Engineering to provide information for strategies to raise the school’s rankings. Responsible for research from initial conception and proposal to providing data in a written report and/or PowerPoint presentation. Researched topics ranging from land use to taxes to evaluating First Five Los Angeles. Provided research for political candidates and ballot propositions or measures. Conducted focus groups including establishing recruitment criteria. Worked with vendors such as calling centers and sample providers. Supervised support staff and junior researcher. Presented findings to a non-technical audience. Facilitator for the CT State Public Health Department in determining management strategies and for the US Department of Homeland Security on why funds were not reaching smaller cities. Taught graduate courses on survey research methodology. Managed entire research process from initial strategy and proposal to providing data in a written report and/or PowerPoint presentation. Used SPSS to compile and statistically analyze data. Conducted qualitative research for the Gore Lieberman 2000 campaign. Conducted surveys, focus groups, and in-depth interviews throughout the world. Conducted research on a wide variety of topics such as mental health, education and politics. Applied data to situations by providing advice, insight and strategies to help clients reach their goals. Managed a project in which Japanese public opinion polls were collected, translated into English, and then placed on the Internet. Edited articles for the magazine Public Perspectives (a publication about polling). Collected and prepared polling data for inclusion at the Roper Center, the largest archive of public opinion data in the world. Conducted research as requested by the Director of the Roper Center. Teach research methods, American presidency, current political events, etc. Taught introductory American government, Connecticut government, and polling. Taught introductory American government and Arizona government. As a researcher, Dr. Hunter's goals are to provide qualitative and quantitative survey data that is valid, reliable, timely, useful, cost effective, and easy to understand. Dr. Hunter has extensive experience designing survey research, and collecting and analyzing data. As an analyst in private sector research firms, clients would indicate what they wanted to learn from the research and Dr. Hunter designed methods to obtain that information and then collected, analyzed and reported the data. In those positions, she conducted research on policy issues, communications strategies and public perceptions for political campaigns, local governments (from towns to school districts to water districts), unions, and many others. In higher education, Dr. Hunter has conducted research for grants secured by faculty members in addition to assessments and evaluations for university administrators and major grants. Dr. Hunter also teaches political science at Arizona State University. Dr. Hunter has conducted research for both Arizona State University and the University of Connecticut to support planning efforts, provide program assessments, and evaluate grant outcomes. She is also accustomed to working with large databases (ASU's student population is more than 50,000). Dr. Hunter understands the critical nature of planning and assessment in higher education today and can provide information to assist administrators in making decisions. Survey data can be a useful tool if it is explained clearly and concisely. Her background includes not only conducting every phase of the research process but also interpreting survey data - qualitative and quantitative - for decision makers. She has also conducted focus groups with ASU students to better understand how to approach them with surveys to obtain the highest response rates. Additionally, she has conducted all phases of the focus group process with students, faculty, staff, and the public. 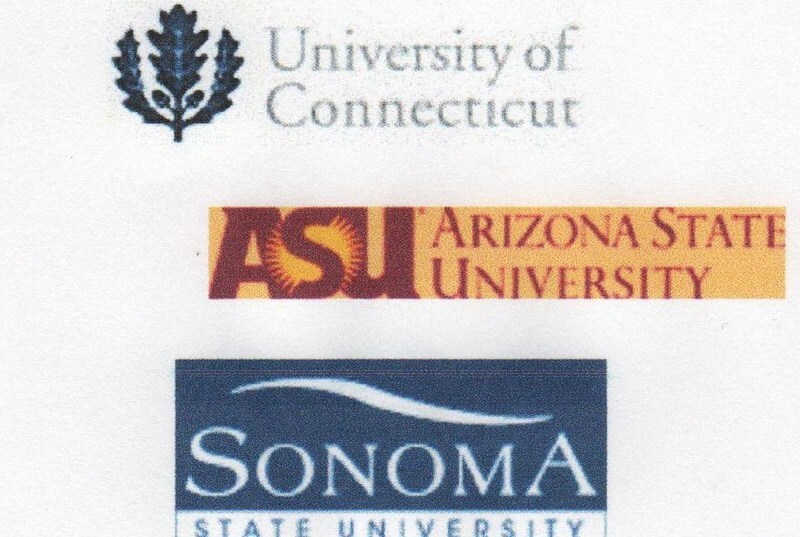 Examples of her work with assessments include surveys of graduating students regarding their careers, Native American students, freshmen (a longitudinal study), faculty and students on the effectiveness of the library's website, faculty on their perceptions of the needs of international students, alumni, and faculty, staff and students at ASU's School of Engineering to provide information for strategies to improve the school's rankings. In some cases, the studies combined focus groups and surveys. Dr. Hunter has also provided evaluations of multi-million, multi-year grants to organizations such as the National Science Foundation. As a researcher for a private research firm in Los Angeles, she evaluated First Five Los Angeles.